The AP Calculus BC exam is a major undertaking. With the coursework, the practice problems and mock exams, the long study sessions, and everything else, it’s easy to lose sight of the goal: the exam itself. When are the Calculus BC Exam test dates? In this article, you’ll get all the info you need, including a long-term timeline for the AP Calculus BC exam. As you may already be aware, it takes a lot of time and energy to prepare for an AP exam. This includes time spent in the classroom as well as prep time outside of school. Although the AP exams are difficult, your hard work can put you on the fast track in college. Most of the major colleges and universities throughout the country offer credits or equivalencies for high scores on the AP exams. 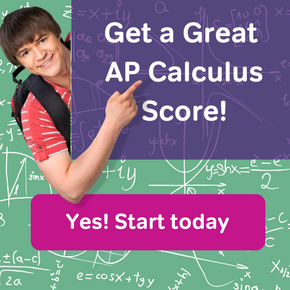 You can learn more about how your scores translate into credits, especially in AP Calculus, by clicking here: What is a Good AP Calculus Exam Score? College credits are expensive, so earning AP credit is like getting free money! First of all, you should plan to take the relevant high school AP course(s) in the year leading up to the exam. Some teachers even expect you to do some work over the Summer before the first day. For example, if you want to score of 5 on the AP Calculus BC exam, you should probably start reviewing your algebra, trigonometry, and pre-calculus during Summer vacation. Looks like I’ll have to study at the beach this year. At most schools, the AP teachers and administrators need to know who is taking the various AP exams by early January. If you plan to sign up for the AP Calculus BC test, then now is the time to do it. After that, you’ll want to set up your study plan. It’s essential to get a good study guide (or two). The key is to give yourself enough practice so that you can ace the actual exam. For more tips to maximize your score, check out: How to Score a 5 on the AP Calculus Exam. Even though the AP Calculus BC exam test dates may seem far off, make sure to spend your time wisely between now and then. Success on this exam could give you the edge in college and beyond!